Another strong week of performances features two more season debutants in the weekly lineup. The reigning league MVP returns to the lineup after leading his side closer to another Finals appearance. 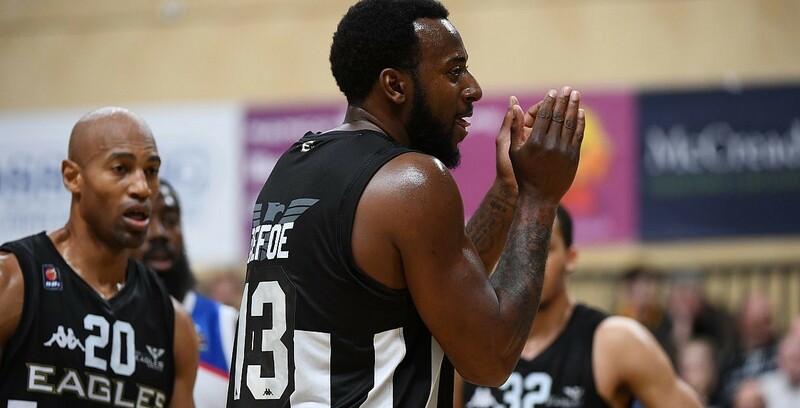 Robinson put up 28 points with 5 threes in their convincing 74-101 success in the First Leg of the Trophy Semi-Finals against Manchester and also added five rebounds, three assists and two steals to compliment his performance. The Royals’ sharpshooter makes his second appearance of the season after a strong week in which his side went 3-0. Lucas netted 17 points on 60% shooting in the victory over Bristol Flyers before putting up 18 in three quarters against Surrey Scorchers after going 7 of 9 from the field along with five assists. He also hit double figures in Tuesday’s Semi-Final victory. A Royals double this week with Neighbour also making the lineup for the second time this season after starring against his former side. Neighbour produced an all-round display with 18 points, nine rebounds, five assists and three blocks in the 73-94 road victory against Surrey, whilst continuing his strong shooting form, going 8 of 10. Williams had arguably the performance of the week after leading the Riders to a come from behind victory with a 34-point haul on the road in Devon. The American forward only joined the club last month, but has hit the ground running and he went 16 of 19 from inside the arc to go with five rebounds and three assists in the 87-90 triumph. The Newcastle veteran set the tone early in their first win at the Eagles Community Arena as they battled past Manchester Giants. Defoe finished with 21 points and 10 rebounds in the 93-85 victory, whilst shooting at 81% in a big matchup inside with the opposing bigs.